The future of the liberal arts: A global conversation is the latest in Universities Canada’s ongoing work as a convenor of dialogues on topics of importance to Canadians. Organized in partnership with the Canadian Federation for the Humanities and Social Sciences, the two-day workshop brought together leaders from 40 Canadian universities and external stakeholders in Montreal in March 2016 to discuss the future of the liberal arts for the benefit of Canadians. Presenters included higher education leaders from the United States, Asia and across Canada. The sharing of ideas and promising practices touched on topics from employer demand to re-envisioning the academy. That message could explain, in part, why Canada has seen an average decline in liberal arts enrolments of 20 percent in recent years. But the quote was actually written in 1977 by the late Donald L. Berry, professor of philosophy at Colgate University in the United States. Concern about the future of the liberal arts is not new. 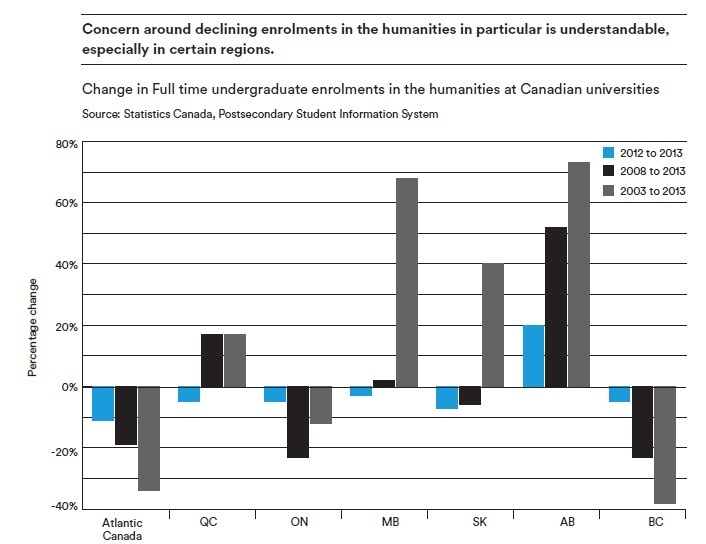 What is new is the serious decline in liberal arts enrolment at Canadian universities in recent years, particularly in certain regions, and the abundance of attacks on the value of the liberal arts in media commentary – the latter doing much to drive the former. This matters because Canada needs the liberal arts. In our global knowledge economy, employer demand for the skills and abilities nurtured through the liberal arts is growing. And more broadly, our increasingly complex, multicultural and technologically advanced world needs the knowledge, skills and adaptability that are integral to an education in the humanities and social sciences. The liberal arts help us navigate disruptive change and build an innovative, prosperous and inclusive Canada. 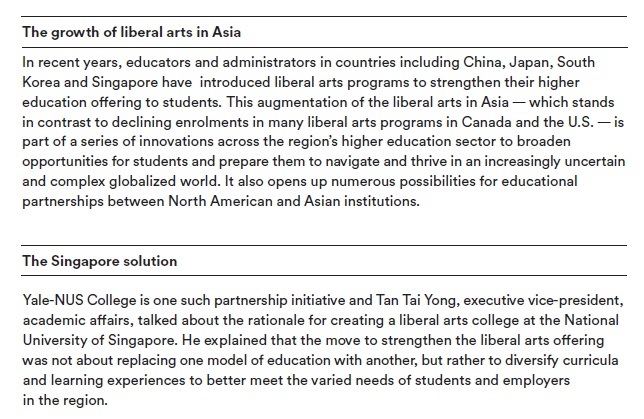 This growing economic and social imperative was the impetus for Universities Canada to organize an international forum on the future of the liberal arts in March 2016. Following the worldwide economic downturn of 2008, students, parents and commen­tators could be forgiven for questioning paths of study that don’t have a direct line to a specific job. Training to be a welder leads to a job as a welder, whereas a degree in history can lead to many different career opportunities — and a lifetime of evolving careers. For example, Canada has almost 40,000 graduates with a bachelor’s degree in history. They are employed throughout the economy; 18 percent work in management occupations and another 23 percent are in business, finance and administrative positions. While Canada has recently been focused on delivering grads with “job-ready” skills, the strengths of a liberal arts degree — including career flexibility, adaptability and innovative thinking — are increasingly valued at home and around the world. Declining program enrolments and misconceptions about graduates’ employment prospects have created a false-crisis narrative. However, workshop participants agreed that there is urgency for universities and arts faculties to better rebrand and communicate the value of a liberal arts education, and to reframe its relevance in today’s diverse society and innovative economy. There is no shortage of compelling narratives, but these are not being shared enough, or in a way that adequately reaches prospective students, parents, the media and policy makers. There may not be a crisis in the liberal arts, but there is a very clear need for transformation. As illustrated in the sharing of success stories at the workshop, some of that transformation is already taking place — but more needs to be done. Participants agreed that innovation in the liberal arts needs to be broadened and scaled up on a priority basis. 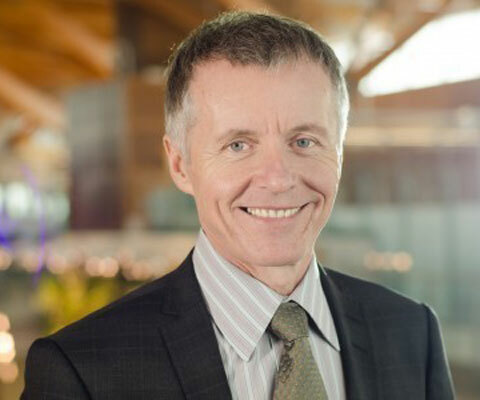 With stakeholders across the university community increasingly mobilized and ready to rally for the renewal of the liberal arts, this is a critical moment and opportunity to shift programs, curriculum, tools and techniques to better meet the needs of students, employers and Canada’s future. According to a 2016 study by the Business Council of Canada, Canada’s largest employ­ers value soft skills over technical knowledge. And the soft skills most often listed as desirable by employers include relationship-building, communication and problem-solving skills, teamwork, and analytical and leadership abilities — attributes developed and honed through studies in the social sciences and humanities. Ross Finnie, director of the Education Policy Research Initiative at the University of Ottawa, whose research links student program choices with tax data, demonstrated the significant value of liberal arts degrees with respect to long-term career earnings and employment success. 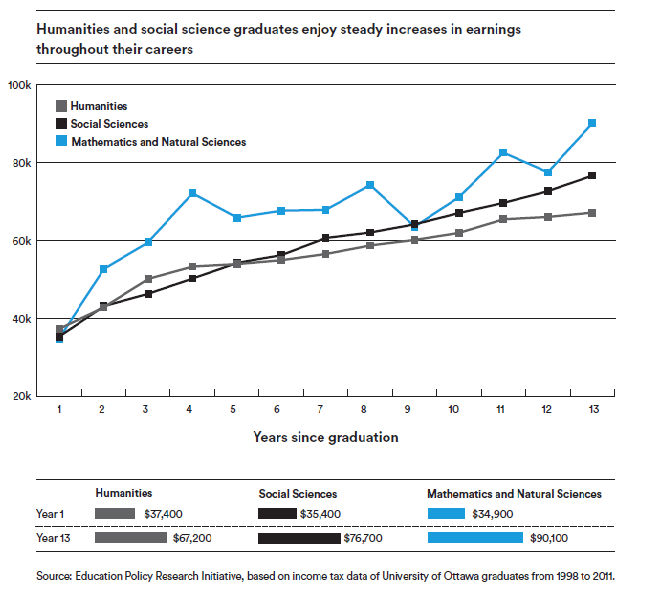 His research shows that social sciences and humanities graduates from the University of Ottawa enjoyed steady increases in earnings in their early careers, starting at an average of $40,000 right after graduation and up to $80,000 only 13 years later — similar to the average earnings of math and science grads. — The Honourable Navdeep Bains, Minister of Innovation, Science, and Economic Development, The Toronto Star. , May 12, 2016. The liberal arts are not only solid preparation for rewarding careers; they also develop civic engagement and nurture personal fulfillment. Workshop participants spoke about the role of the liberal arts in fostering service and leadership, broadening intercultural awareness and fuelling creativity. They highlighted the vital role of the liberal arts in preparing students to tackle our society’s most pressing problems, including the national project of reconciliation with Canada’s Indigenous peoples. The workshop explored how teaching and research are changing to meet the evolving 21st century needs of students and society, and how this can be scaled up. Several speakers gave examples of the creation and redesign of programs to better meet the needs of students and employers in a changing world. Participants stressed that faculty must be integrally involved with program changes, and that students need to be at the forefront of this discussion. The need to better engage with local communities was also identified as a priority, along with exploring new approaches to tenure and promotion. A recurring theme during the workshop was the need to increase and better integrate research opportunities into undergraduate liberal arts programs. Doing so would not only enhance students’ learning outcomes, but would have a significant impact helping find solutions to the questions and problems Canada faces today. Future employers would be well served by liberal arts graduates who are able to explore and seek new knowledge, solve problems and broadly communicate solutions. Several speakers gave examples of innovative research opportunities for under-graduates. Dr. Manfredi, for instance, spoke about the arts research internship awards program at McGill University. Jointly funded by members of the faculty of arts and the department, this program supports undergraduate students who undertake research during the summer under the direct supervision of a faculty member. Students contribute to the professor’s research agenda while gaining useful academic research skills. Participants highlighted the need to embed experiential learning in liberal arts programs. Dr. Wolfe said today’s employers want students to have applied learning experiences. Discussion focused on challenges and strategies for scaling up successful models, including the value of engaging recent alumni in fundraising for experiential learning opportunities, given their own positive career outcomes as a result of such experiences. — Robert Proulx, rector, Université du Québec à Montréal, at the 84th Acfas Conference opening ceremony, May 9, 2016. Speakers stressed the importance of embedding the liberal arts across disciplines in ways that align with employer demand for well-rounded grads. Students in the STEM fields provide positive feedback on the value of developing their communication, teamwork and creative skills through liberal arts courses. The digital revolution poses both an imperative and an opportunity for the liberal arts. Participants discussed a growing demand for the liberal arts to help society navigate a rapidly changing world. The social sciences and humanities help us identify and communicate how new technologies can address human needs. And they guide us through the ethical and moral dilemmas that often arise from technological advances. At the same time, new tools give us new ways to do research, teach and share knowledge in the liberal arts. 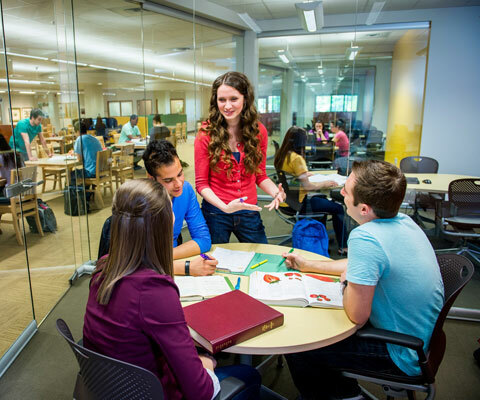 librarians, who are increasingly helping students navigate new digital learning spaces. arts grads’ long-term earnings and career successes. prosperity through students’ and graduates’ voices. 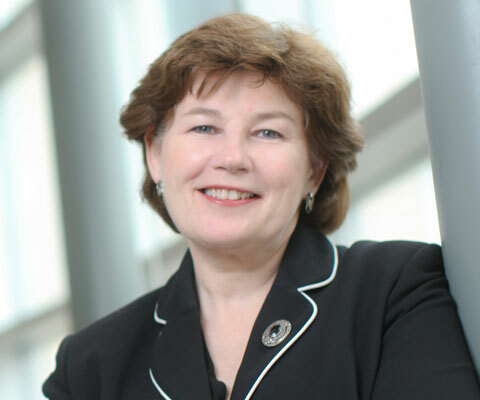 As the Canadian government advances strategic policy reviews for economic growth, science and innovation that will steer Canada towards 2067 and beyond, Universities Canada will share workshop outcomes to demonstrate how Canadian university graduates are equipped with the 21st century skills needed to navigate a rapidly changing world. We will also continue to champion the need for enhanced investment for more students to benefit from undergraduate research experiences, work-integrated learning and global study opportunities. 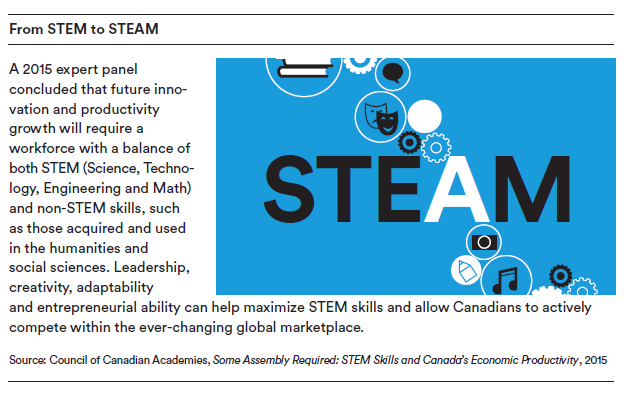 skills, fuel their creativity and mobilize their talents to ensure Canada’s future success.Working in partnership with business, civil society and postsecondary stakeholders, Canada’s universities are committed to meeting the evolving needs of students and society and contributing to an innovative, inclusive and prosperous Canada. Report looks at the future of the liberal arts and how best to reinvigorate this area of study to build an innovative and inclusive Canada.